It’s only been a few days since Fire Emblem Warriors was announced, but it seems Nintendo has more to show soon. Why? Because a new Fire Emblem Nintendo Direct has already been announced! And with it being to set on the 18th of January (read, this Wednesday), it’s clear that two topics are likely going to be shown here. Namely, Fire Emblem Warriors and the smartphone game they had planned. Well, unless a new main series game is announced for the Nintendo Switch. But hey, that seems pretty unlikely right now. 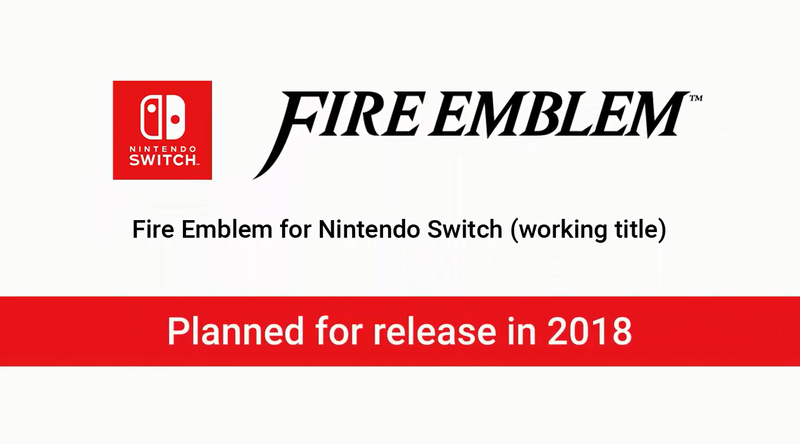 A Fire Emblem Nintendo Direct is coming next week on 1/18! I’m super excited for this direct. I’m hoping that they show that Lucina is in FE Warriors. I’m also hyped to find out more about the game. I’m hoping for a new main series game, but at the same time I’m not since FE Fates hasn’t even been out a year yet. Unless it’s not set for 2018 or something.